St. Sara Fashion Company Limited is located in the heart of fashion industry of Asia which is a definite merit for communicating and exchanging technological expertise with the rest of the world. Our Headquarters is not only responsible for defining the regional development and marketing tactics but also, the pivot of the company’s commerce, economics, management and design expertise, providing regional offices with prompt support At the same time, we have a professional and high-quality design team, production and marketing team as well as a solid and fine economic foundation to pace with the vast development of our brand. Gitti offers a style that is constantly keeping up with the times, highly aware of trends without exasperating tones. For the past couple of decades, Gitti strive to promote high product quality which are good value for money and totally satisfies the needs of today's outgoing and self confident woman, who is seeking a sophisticated but easy-to-wear style, and is looking for high quality fabrics and accurate finishing. 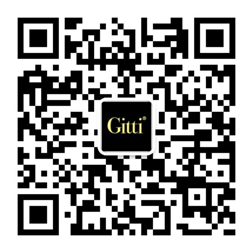 Gitti is a clothing apparel brand which specializes in manufacturing and sourcing multifarious kind of combed knit and woven fabric and accessories which meets international standards so as to facilitate seamless production from raw material to end products.